China Taking Action Against North Korea? State-owned Bank of China makes a move against Pyongyang. Is this the start of a trend? Over the last several weeks, various pundits and scholars — including The Diplomat's own contributors — have considered China's complex relationship with North Korea. Pyongyang's tough talk over the last several months has certainly put East Asia and most of the world on edge. Many have wondered if Beijing would begin to dial back the amount of economic aid and support it gives the North and enforce UN Security Council resolutions against Pyongyang. Today we may just be getting some answers…or maybe not. "State-owned Bank of China Ltd. said it cut off a major North Korean bank accused by the U.S. of providing financial support to Pyongyang's nuclear and ballistic-missile program, in what appears to be the first publicly announced step by a Chinese government-controlled firm to sever ties with a North Korean entity. The Foreign Trade Bank of North Korea, the country's main foreign-exchange bank, was notified that its account was closed, Beijing-based Bank of China said in a brief statement, without offering any details. The move by Bank of China follows sanctions against North Korea announced in March by the U.S., which singled out the Foreign Trade Bank over its alleged role in the nuclear program. Under the sanctions, Washington effectively cut the bank and several North Korean officials off from the U.S. financial system." U.S. officials have warned financial institutions around the world about the risks of doing business with the bank. American officials have raised issues involving the bank with China, though Beijing hasn't commented publicly on the issue." While such an action against its longtime ally seems like a bold stand, one move certainly does not make a trend. For example, China has been widely accused of not properly enforcing earlier UNSC sanctions aimed at North Korea, and provides Pyongyang with vast amounts of food and fuel aid. It seems highly unlikely that Beijing would cut off such aid because of concerns that the North Korean regime would collapse. This move could be just a public gesture for international and domestic audiences to look tough, even as it continues on with existing policy. "After the U.S. Treasury in 2006 blacklisted Macau-based Banco Delta Asia for allegedly helping North Korea launder money, Beijing quietly froze a number of North Korean accounts at the Bank of China's Macau branch, apparently fearing Chinese banks could be targeted by the U.S. The U.S. later unwound the action against Banco Delta Asia, which denied wrongdoing." The report also noted that "It is hard to say whether Bank of China's move was a result of a government directive or whether the bank acted out of self interest." 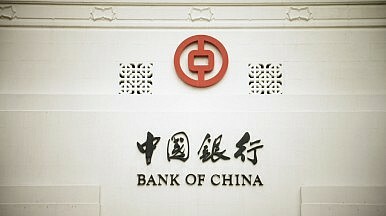 Bank of China's American operations could in theory be sanctioned if they conducted operations with the Foreign Exchange Bank of North Korea. So instead of a move directed from Beijing, could the bank have been just looking to protect its bottom line? Harry Kazianis serves as editor of The Diplomat. Examining Crime and Terrorism Along China’s Belt and RoadChina’s Rise in the Middle East: Beyond EconomicsChina in the Middle East: Past, Present, and FutureChina’s Crisis of OverconfidenceIs North Korea Exerting 'Asymmetric Leverage' Over China?